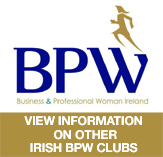 On Friday 23rd February in the Harbour Hotel, the Galway and District Business and Professional Women’s (BPW) Galway Club will host their annual candle lighting supper in a special tribute to one of the world’s most influential organisations, The International Federation of Business and Professional Women, uniting women around the world. 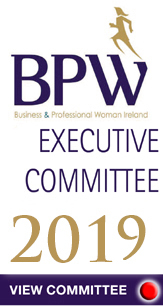 BPW Galway is a vibrant and innovative club whose members are dedicated to promoting its aims which are ‘to share, educate and give a voice’ to women. The candle lighting ceremony celebrates the fellowship between all BPW members around the world and is held in each club worldwide in February of each year. 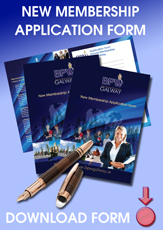 The evening will commence at 7:30 pm with a prosecco reception followed by a two-course supper. 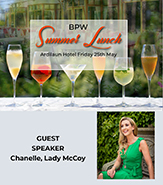 This special event is open to members of BPW as well as members of the public who may be interested in networking in a relaxed environment or who may be interested in joining the Business and Professional Women’s Club. 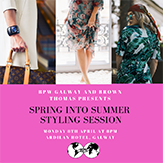 Tickets priced €47 are available on www.bpwgalway.ie, for more information or to book your ticket directly please email bpwgalwaysecretary@hotmail.com.